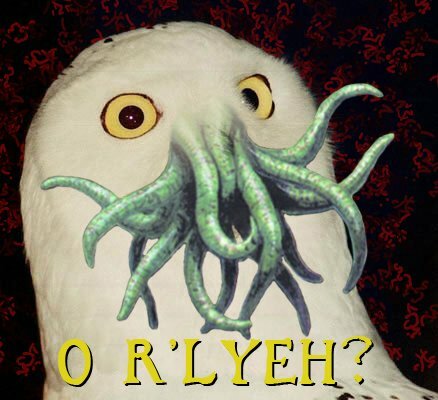 8 Responses to O R'LYEH? copyright 2007 LOLTHULHU is part of the joke right? That’s just part of the theme I used for the site. I suppose it doesn’t really make much sense in this context, since I’m primarily just posting other people’s works. The “about” page is TOTALLY all me, though. hahahaha i can’t believe i found this site by joining a uta group on facebook … ia ia! I can’t belive i akshully FOUND this site…. was an accident. um, what does ia ia mean? I’m new to the whole cthulhu thing.